About a year ago, after attending a session put on by Karen Mensing featured by Classroom 2.0 Live I finally saw a meaningful use of QR codes in a primary classroom besides scanning into a math problem, or running around on a scavenger hunt. I had seen both of those ideas many times but neither added much value to the learning besides a "fun factor". And no I'm not a "no fun" teacher but if I'm going to use technology with my students I do want it to help us learn in new or better ways. Anyhow Karen talked about how she used the website (or IOs App) Croak.it to record voice, gain a link, and create a QR code to add voice to other wise non digital work. She talked about how her students wrote book reports and created voice recordings of their reports and added those to either the book covers, or the reports themselves. It added a whole new dimension to the traditional book report. That was something I could see value in doing. The days following Karen's session my students returned to school with images they had taken as part of our global read aloud project of their "Flat Wilbur" which we were sending off to a school in NYC. Instead of adding written text to the images my students made voice recordings and attached QR codes to the images so the students in NYC could hear my students talk about the images they were sharing. It was a very successful project and I think well received in New York. You can read more about that project here. But once I started with QR codes I continued to use them throughout the year. One of the first ways I used them was to provide my students to a link of shared photos. When ever we went on a field trip, or documented learning with images (eg places we learn in our school with images taken by the students), I would collect all the images and put them into a dropbox folder. I'd then get the link to the folder (done while in dropbox) and create a QR code from that link. I would then print a few copies and post the around the classroom so my students had easy access to all the images taken. My students used those images on their blogs or in their projects. Once my kidlets knew how to use a QR code reader on their iPads it was pretty simple for them to access these photos. But I must confess, like so much of what I do in my classroom this idea was not mine and I give full credit to Karen Fadum a fellow Surrey Teacher for showing me about this use of QR codes. I also had the obvious QR code that linked directly to our class blog posted outside our classroom window of course. We also used QR codes to get to any Padlets (an on line cork board that's great for collecting ideas while brainstorming) we used. A QR code was created to help the kids to get to these padlets. It was way easier to create a QR code to a long Padlet address then have my students type in a long string of letters and numbers with a huge likelihood of error and frustration. QR codes became my best friend when I wanted my students to get to a website fast. The QR code was a miracle direct link. 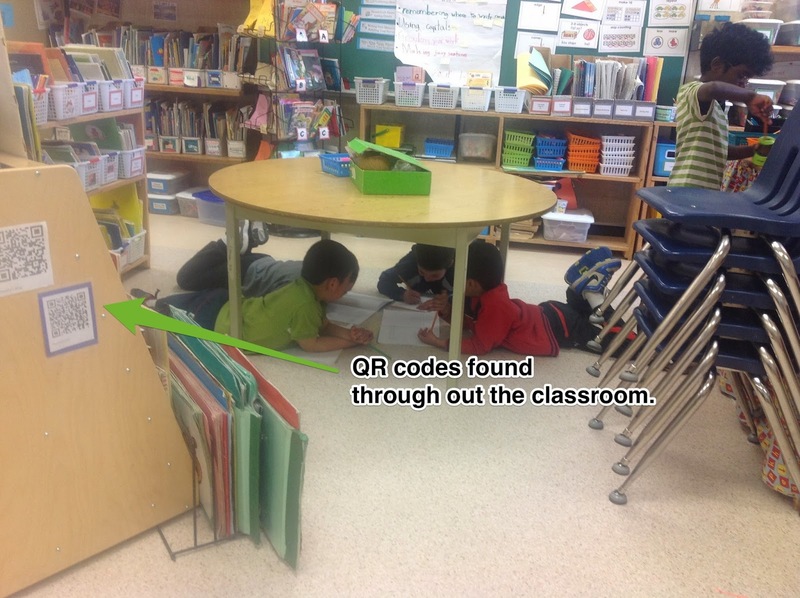 When we used Today's Meet to discuss items with other classes we again entered our "room" via QR code. Sometimes I would set up the QR code in advance and have a few copies around the classroom but other times I'd just create it on the fly and project it onto our screen for students to scan from there. My students would literally bring their iPad to the screen and scan the code and away we'd go. My students enjoyed using them too. I thought about creating QR codes in my classroom library to send my students to the authors' blogs to have them hear the stories be read by the original authors. Unfortunately that fell through as so few authors actually do that on their blog. I also wanted my students to add more "voice" to their non digital work but I must confess my students tended just to take pictures of their non digital work and then add voice through the iPad before sharing it on their blogs. But it would have been great to have QR codes attached to their work that was on our walls and bulletin boards. I never got there though but you can see the idea behind QR codes is endless if you think about them long enough. They really do bring anything online into your classroom with just a quick scan. And of course I recently used them to create an interactive "Meet the Teacher" which I wrote about in the previous post. In a nut shell my students created mini videos or voice recordings about different parts of our classroom, we created QR codes to link back to those videos or voice recordings, and during "Meet the Teacher" my students taught their parents how to scan the codes and together they watched the videos. You can read more about that use of QR codes here. But how do I create them? For most things we share/save/create on line there is a link that identifies that work/project/webpage etc. For example this specific blogpost has a web address at the top of the screen which can easily be shared via QR code. When you record voice with a website like Croak.it or Audio boo, or Vocaroo you are provided you a link. Anything you store in Dropbox or Google Drive has a link associated with it. The possibilities are endless. With the link and while on my computer, I head over to Kaywa. Kaywa is my preferred QR code creator web site but I'm always up to hear of others. I also must confess when I want my QR codes printed I make them on my laptop vs an iPad because my iPads don't print. When I create a QR code on my iPad to share on the screen I've been using the free QR Code Maker App. Anyhow back to how I make them. With the link copied and I'm in Kaywa, I select URL, paste the link, switch the little switch to static, push the "generate button" and voila I have a QR code that when scanned sends me back to my original website. I didn't have to sign up to create an account or give any personal information. That's my kind of service. If I need to print the QR code I right click (control,c, click) the image, save it to my desktop or add it into a printable document in Pages or Word and presto I have a QR code. I often play with the size of the code too making the square bigger or smaller as required for the purpose. The biggest tip I can give you is that when you create and print a QR code try to remember what is the top side of the code so you can put it up in the proper direction. On our iPads we use the app Qrafter to scan our QR codes but I have seen more child friendly ones. If you know the name of some please add the name in the comment section of this blog post. While Qrafter is great and we've had no problems with it, I do know there are better (hopefully free) early years learner QR code scanners out there. I hope this helps you think about ways you could use QR codes in your classroom. I have barely scratched the surface so I'd be curious to know how you use them. Please share. i-nigma is another popular QR Code reader for elementary students. It takes into account those wobbly hands. 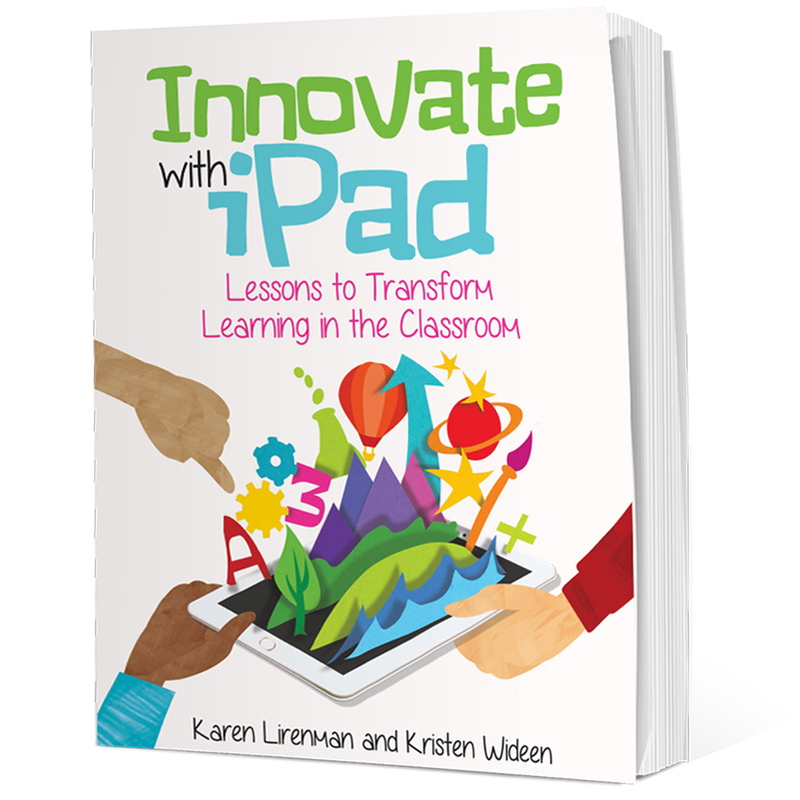 I love hearing about the ways you and your students are using QR codes in your classroom! 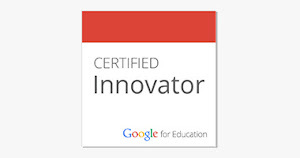 You might want to check out my Tip of the Week found here: http://goo.gl/Z2rTNj It allows you to batch-create QR codes in a Google spreadsheet. thanks for this! I'd like to video students reading something (using my ipad) and generate a qr code to share with parents who can view this. Any suggestions? You can use any voice recording app to record your students reading. My students often take a picture of a page they want to record the use the app Draw and Tell or Explain Everything to record themselves reading. Both apps save to the camera roll. The video on the iPad would easily work too. Then send the video to youtube. From youtube you'll get a link to the video which you can put into a QR code creator and send to parents. The samsung call recording software will will allow the software to the voice saved for later listening. The voice recording applications can be downloaded at low cost from the internet. . The call logger software will be useful for those who is either being disturbed by an unknown person or if their job is to receive many calls. The SIP recording software will complement the entire process.